Manufacturer: Kel-Tec CNC Industries, Inc.
Do you have a favorite pet? 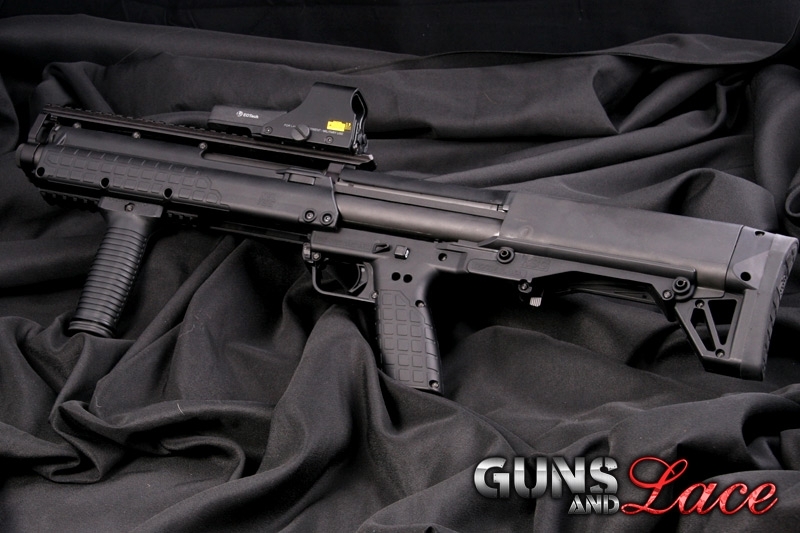 I do, meet my Bullpup, the Kel-Tec KSG 12 gauge, a blue blooded, pedigreed, rare and exotic matte black animal. Now that is what I would call: "A Girl's Best Friend!" Why the name Bullpup? It has to do with the fact that the chamber is back behind the trigger, when this occurs it is called a Bullpup. 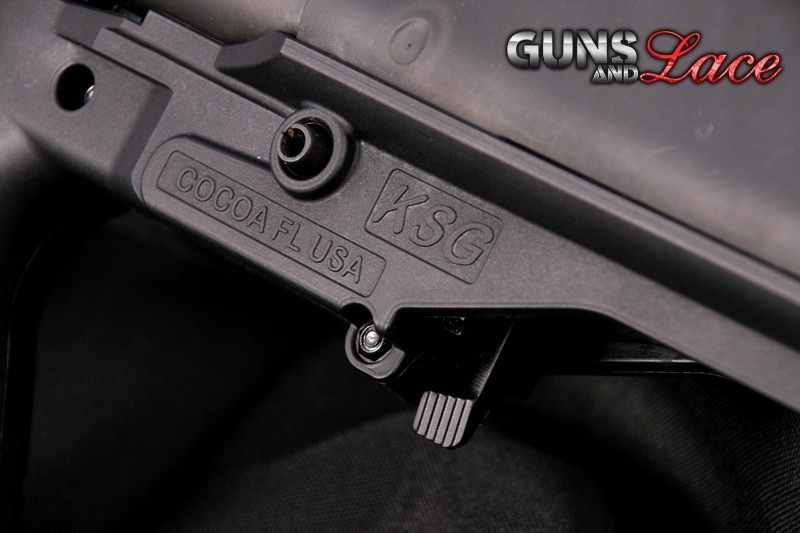 This setup allows more of the barrel to extend into the body of the gun, making it compact and an excellent choice for close quarters military, law enforcement and self defense use. 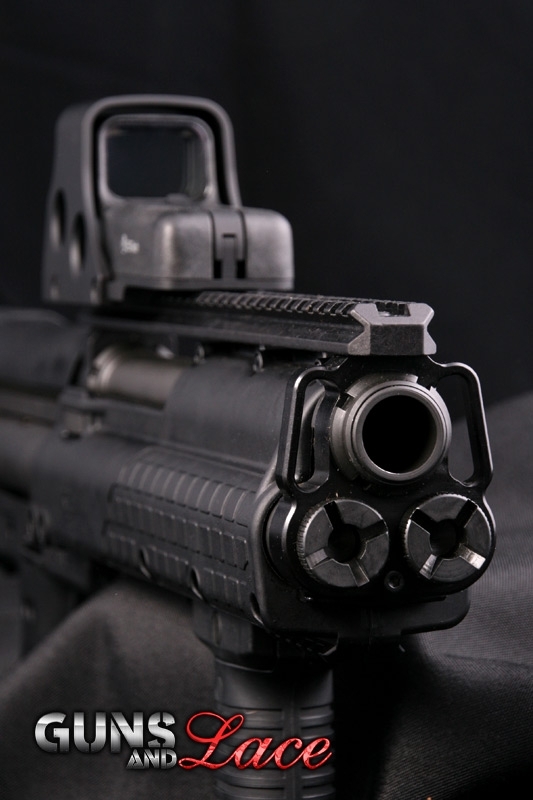 The Kel-Tec KSG comes with not one, but two feeder tubes, a unique and wonderful feature on this pump shotgun. The double feed tubes are laid out side by side and rest underneath the barrel. Each tube feeds individually, so rounds of shot or slug can be fed depending on what is needed. Men will think of it as a way to carry 14 + 1 rounds of Hell. I personally prefer to think of it as having the prerogative to change my mind as often as I like! The action release is conveniently located at the trigger guard and is super easy to depress as you rack and feed this Pup! The safety was easy to switch off and required a bit of getting used to. Loading is a piece of cake. The tube selection is done behind the trigger guard and underneath where the opening and ejection port is. 7 round per side and 1 in the chamber! Powerful, plenty of ammo and at an $800.00 price tag, it is very affordable (production is limited so they are not easy to find). Alley is an island girl, she lives a short ferry ride away from Seattle in a bedroom community that looks across the water at one of the most beautiful sky lines in the world. From woods, to beaches, trendy shops to quiet trails Alley loves the Island life. Still on a Saturday night the Emerald City calls her. Don't mistake this beautiful young lady for a small town girl that doesn't know what is going on. 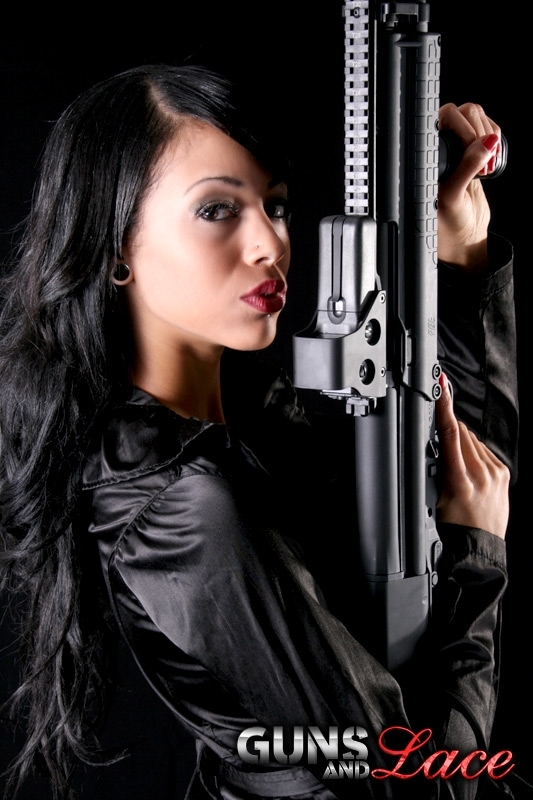 Whether she is out dancing to the local DJ or at the range shooting, this Guns and Lace girl has got it going on. Her favorite quote... "You wanna play rough?! Say hello to my little friend!" My birth month wish I was in my 20's again !!!! Hot Babe, Smoking Hot KSG! Shut the Front door Betty! F***en Sweet. I thought the Kel-Tek KSG was hot, can't find one to buy anywhere. Now I am never going to get any sleep! Alley you are it! Lets go Zombie hunting together! !